Of course in the summer, in Florida, we partake in a fair share of frozen treats. I can't even really say it's only in the summer. On Christmas day many years we eat ice cream cones while sitting on the beach in our tank tops. 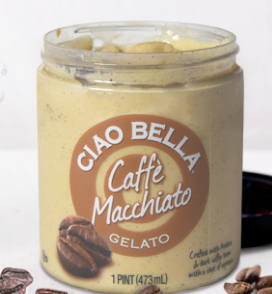 But, whether you live in sunny Florida or in a colder region, you should check out Ciao Bella Gelato & Sorbetto products. What I love about Ciao Bella is that it was first served in a scoop shop in Little Italy New York, and that the chef behind the flavors is so creative. I mean, Peach Sangria Sorbetto? This is SO good, and not something you find everywhere. 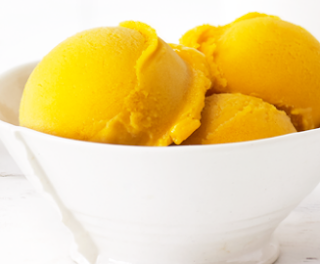 If you are like me, you probably want to know what is the difference between Gelato, Sorbetto and how are they different than american Ice Cream. Sorbeto is like an american version of sorbet or sherbet. It's usually fruit flavored and doesn't contain dairy. I really hope you can check out Ciao Bella products, I found mine at Whole Foods!